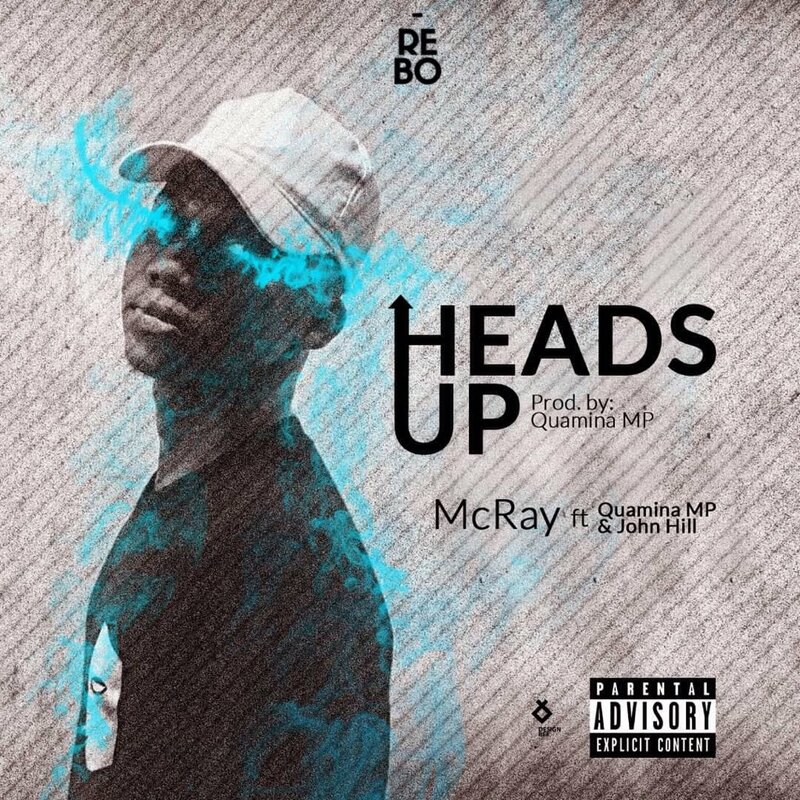 Rebo Tribe’s very own McRay is out with a new one titled “HEADS UP” which features Quamina MP and John Hill, with production credits to Quamina MP, Nicely Mixed and Mastered by Tribe mate Mantse Chills. This Hip Hop song surely gives us a heads up about what he and his Tribe mates has instock for us when you listen attentively to the hook by Quamina MP. “Me and people say, this year we no go play, shouts to all the haters, we see you from far away”, I guess this extracted Lyrics from the hook explains what he means.